Insuringindia.com: Max Life Insurance Joins Hands With Toyota Financial Services India Ltd.
Max Life Insurance Joins Hands With Toyota Financial Services India Ltd.
With a view to provide insurance cover to car loan customers of Toyota Financial Services, Max Life Insurance, a leading private sector life insurance company has signed an agreement with Toyota Financial Services India (TFSIN) Limited. Toyota Financial Services India Limited is a non-banking financial company which provides auto finance solely to Toyota customers in India. It is the subsidiary of Toyota Financial Services Corporation (TFSC), a wholly-owned subsidiary of Japan-based Toyota Motor Corporation (TMC). Toyota Financial Services Corporation is present in over 30 countries across the globe. This alliance has been formed to provide insurance cover for car loan customers of Toyota Financial Services under a Max Life group product called 'Max Life Group Credit Life Secure', a joint statement of the companies said. 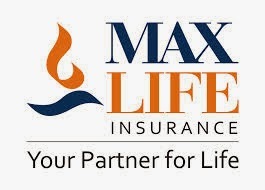 Max Life Insurance will issue a Group Credit Life Secure policy, where Toyota Financial Services India will be the master (group) policyholder, said the agreement. Hence, the customers of Toyota Financial Services can enroll themselves as members within the policy in order to cover their financial liability pertaining to their car loans. This policy is a single premium insurance plan which will provide financial coverage to secure the car loan against eventuality of death of the customer. The sum insured for the customer at any point throughout the policy would be equivalent to the outstanding principle amount as per the loan schedule.